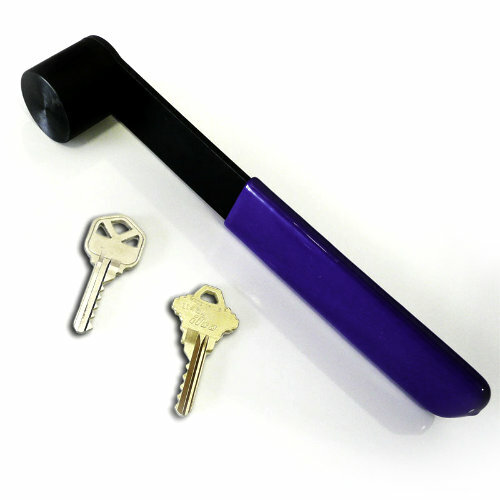 Use Bump Hammer and Keys to quickly open Kwikset and/or Schlage locksets and deadbolts. Bump hammer is weighted and balanced for quick access. Hammer and keys sold separately. Keys are made of high-quality Nickel & Silver blend for long service. Choose from Kwikset and/or Schlage key types. Bump hammers are weighted and balanced for quick access. You must be at least 18 years of age to purchase these products. They are designed for use by professionals only and are not available for sale to the general public. In compliance with 39 U.S.C. §3002a, by placing this bumpkey order, you acknowledge that you are either a bona fide locksmith; lock distributor; bona fide re possessor; motor vehicle dealer; lock manufacturer; motor vehicle manufacturer; law enforcement officer; or perform property preservation services with a work order that identifies the property you are servicing. You additionally acknowledge that you have read and understand this agreement. You also acknowledge by ordering that you have consulted applicable federal, state and local laws before ordering to ensure that either purchasing or possessing any of the products sold herein is not in violation of any applicable laws. You further acknowledge by placing an order, that you are not purchasing any products with the intent to use such in the commission of a crime and hereby agree to hold harmless and indemnify US Hardware Supply, LLC , it's owners, officers, directors, employees, agents and representatives from any and all loss and liability associated with the purchase, shipping, possession and use of any products sold by US Hardware Supply, LLC. it's owners, officers, directors, employees, agents and representatives from any and all loss and liability associated with the purchase. *We will only ship bump keys and hammers to the billing address of the credit card used at checkout. A very good tool .Lincoln Locksmithing serving Spencer .Perry and Dubois counties . Includes Rockport , Tell City , Dale ,Reo , Huntingburgh , Jasper , and Cannelton .